This dealer is the best! Took our sprinter van in because the check engine light was on and they were amazing. Got us in and out in a couple hours. Thomas was amazing and communicated with us through the whole process. Guest lounge is so nice as well! I was interested in a three year old Mercedes SL 550, certified used car. After visiting several local dealers in the local area (buy local first if you can my preference) with a variety of receptions from the staff - including one local salesmen that clearly didn't know his product, I found the car I was looking for at Fairfield Mercedes on the internet. I used Trucar and other web tools to validate the deal. the car's "history" and looked closely at the pictures Fairfield had on the net. From my first contact with Aaron D, in their "used car internet" section, and his team of supporting managers I was delighted with the way I was treated, especially their understanding of my particular needs and tight pick up schedule to work around predicted weather on the 450 mile driving route to Northern - Bay Area of California from deep in southern CA! Arron met me as arranged very early in their business day time ( we drove onto the lot at the same time). The Fairfield team of "detailers", technicians and management staff had the car ready in no time, walked me through a careful visual and tactile/white glove inspection by my wife and I. While I was generally familiar with the product, my wife was not and she asked questions about nearly every button, including a few buttons that were deep in the owners manual. The finance process went flawlessly and we were able to complete the transaction including a comprehensive and delightful set up of the various electronic and comfort settings in a timely manner that allowed us to drop off the rental we used for the trip to the dealer from SOCAL by noon, and make the trip south arriving home the same day with our new to us Mercedes, The SL, was a delight all the way down the coast with the massaging, heated and cooled seats combining with the delightfully simple audio input process to make the journey seem to fly by. 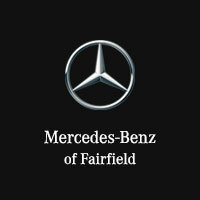 In summary I recommend the previously owned/used car department at Fairfield as a first look, do yourself a favor see what they have to offer in any Mercedes purchase. In particular, I commend Aaron D and the management team at Fairfield for their responsiveness and their professional while personal service to a demanding customer! I had a great experience servicing my vehicle this morning thanks to Kim and everyone else at this location. They listened to my needs and answered all of my questions about diagnostics and what it entails. As a person who is not well-versed with cars, I get intimidated by car mechanics and their suggestions which I can honestly say did not happen at this location. I also utilized the shuttle service and was impressed on the speed of service. Thank you! Look forward to my next visit. This is to give a shout-out to Service Advisor Web at the dealership. He went above and beyond to assist while my car was at the shop. If you ever need service, ask for him as your advisor.